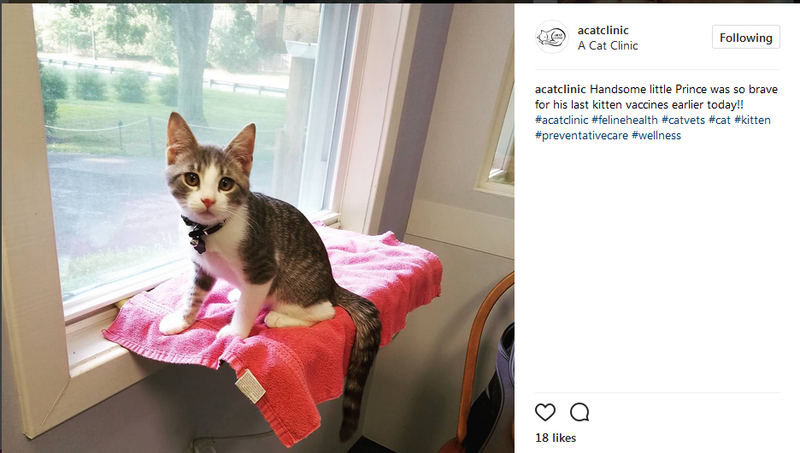 Now you can follow A Cat Clinic on Instagram! 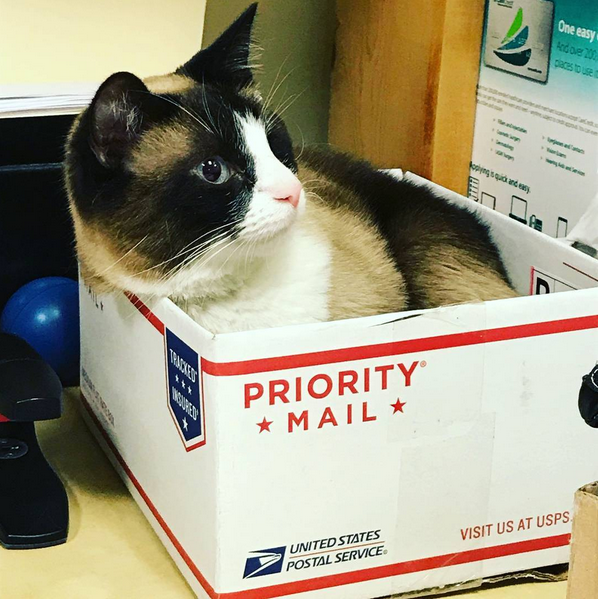 We want to introduce you to A Cat Clinic’s new Instagram account! We know that Instagram is popular with many of our clients, and some of our patients even have their own Instagram accounts. For those of our clients less familiar with this social media platform, here is a brief overview. Instagram is used to share pictures or short videos, and is known for its ability to add filters to the images. as well as the ability to “tag” the images with different words to highlight a topic. At the time of writing this blog, #cat (the cat “tag”) has almost 120 million hits! 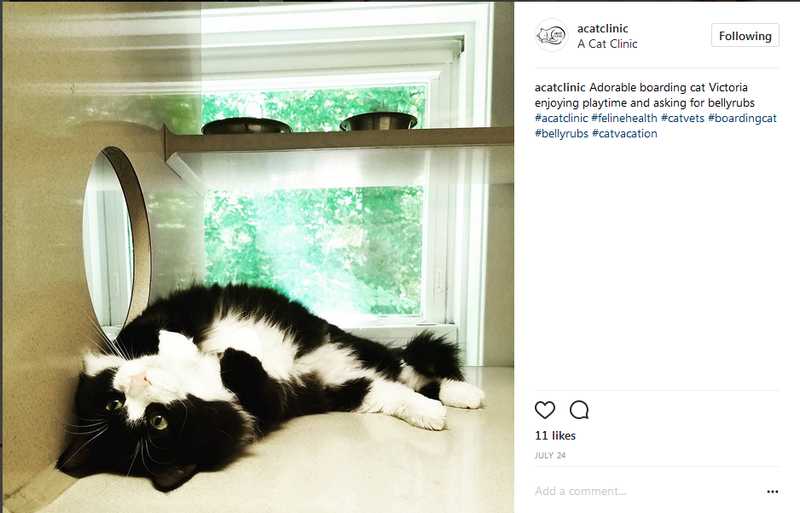 You can follow A Cat Clinic on Instagram @acatclinic. We are hoping to use our Instagram for a few reasons. One is to connect our clients with their beloved pets while they’re boarding with us, like sweet Victoria here. 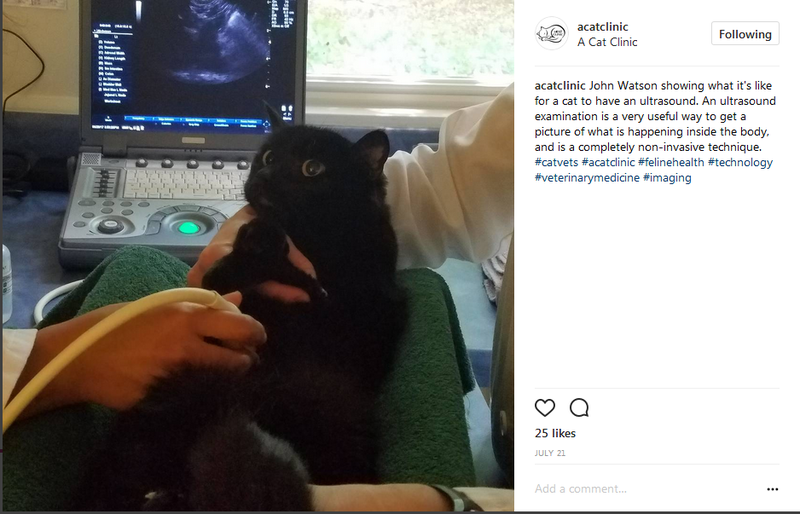 Another is to talk about procedures that we do that clients don’t commonly get to see, like little John Watson’s ultrasound examination here. We also like to show the appointment experience with us. Who doesn’t like to see happy cats, like brave little Prince here? Also, a quick note – we try to post daily and respond to comments when possible, but can’t guarantee when we will check it. So if you have a medical question, please remember to contact us directly instead at 301-540-7770 or messages@acatclinic.us.